Most shoppers aren't able to pay cash for a new car, so you'll need to decide how you're going to finance it. While many people take out a car loan, leasing a new car is simply another form of new-car financing. Let's look to see if leasing or buying makes the most sense for you. Leasing a car is similar to financing the purchase of a new car in many ways, but there are some key differences. You might be able to get more car for less money by leasing. That's because a car loan is based on the full price of the new car, while a lease is based on only a percentage of the car's price. For example, on a $30,000 car, you'd finance the entire $30,000 purchase price with the car loan. 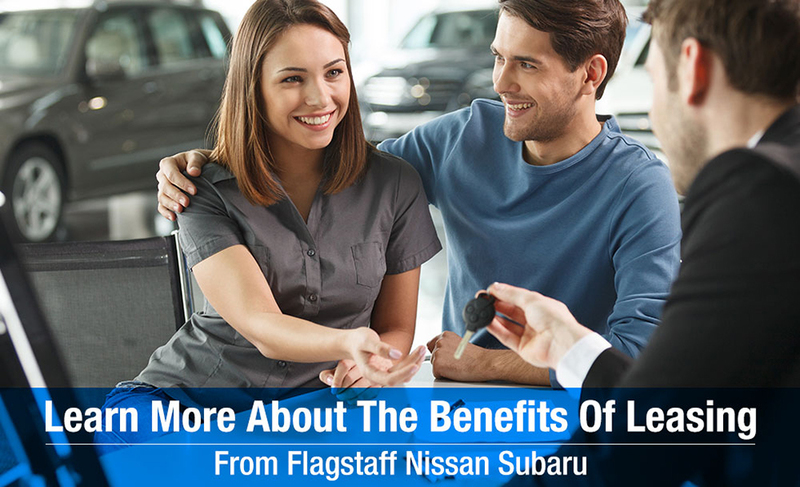 With a car lease, you only pay the difference between the car's price and what's it's expected to be worth at the end of the lease, which is a car's residual value. So if the car's residual value is 55 percent after three years, for example, that means the $30,000 car would be worth $16,500 at the end of the lease. You'd make lease payments on the remaining $13,500 and not the full $30,000. If you only have a small down payment saved up, leasing may also be a better option for you. Many car leases require anywhere from $0 to several thousand dollars up front, thought he down payment is negotiable. Many advertised lease offers will promote low payments, but require a sizeable down payment. If you want to out as little down as possible, remember that your monthly lease payments will be higher. Many leases last about three years, which is typically the length of many new-car limited manufacturer warranties. That means the car is usually covered under warranty for repairs for the duration of the lease. You still need to maintain the car, though, which includes oil changes, tire rotations, and recommended maintenance from the manufacturer. Failure to properly maintain the car during the lease can result in fees when you turn the car in at the end of the lease. If you enjoy having the newest high-tech features, ;easing could be the better choice for you. Since you'd be leasing every few years, each new car will have the latest and greatest technology and safety features. With a leased car, you don't have to worry about selling the car or getting a good price for your trade-in. When the lease is up, you can simply turn in the car and walk away.